Taking advantage of a beautiful Sunday morning some weeks ago, DH and I started building our garden tool shed. We both love this project because (1) it will collect my tools right next to my garden and (2) it makes room for a functional workshop for DH in our old and more “serious” shed – currently clogged by all my gardening tools and supplies. 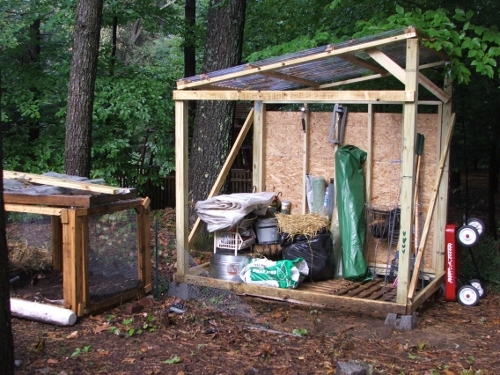 As you can see, it’s a simple lean-to that still needs walls and a floor (at the moment the floor consists of loose pallets, ankle-benders I call them). They will have to wait until Spring. For now we’ll hang tarps all around it. 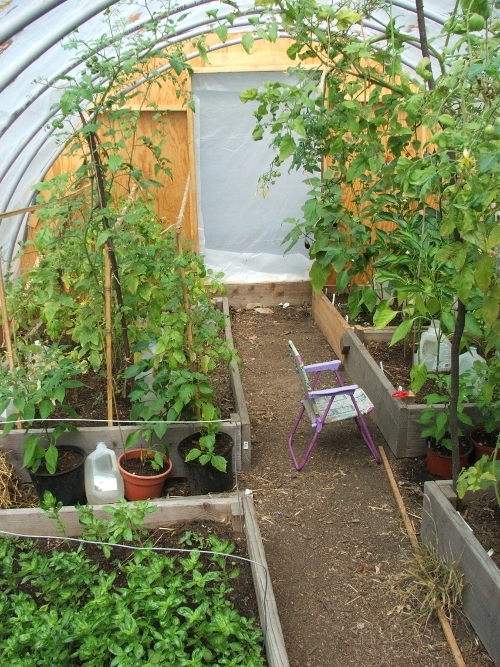 As anticipated, we did get the door onto the hoop house yesterday evening. We agonized over how to build that door. A door that swings open is not possible, as the house is wedged between beds and there is not enough leeway. A sliding door came out too complicated, e.g., snow on the rail and, no matter how we designed it, there was always too wide a gap between door and jamb. 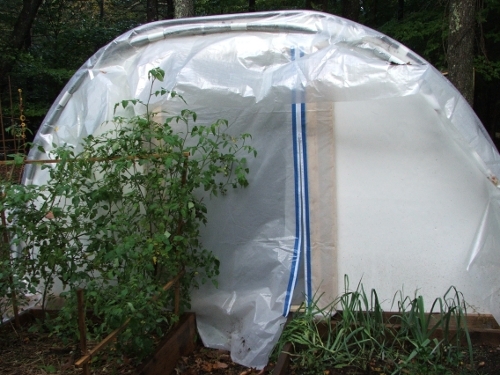 It’s not so much cold as draft that kills the winter veggies, so it’s best to make the house as tight as possible. During a trip to Home Depot we spotted this zipper that you stick onto a plastic or a tarp, and voila. We’re skeptical about whether it will hold, especially in sub-zero, snowy and icy weather, but were game to give it a try. The other door we just closed off. 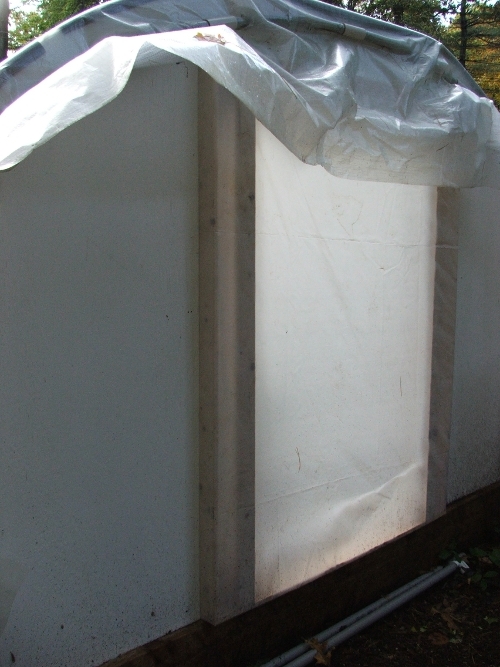 Same system (a frame made of pine straps, plastic stapled to and around it, then the frame screwed into the end wall/door jamb), but no zipper. I visited this morning to take these pictures and it felt considerably warmer in there. The plants in there seem to like it.